Sometimes, it’s hard to like something after you’ve worked at it over and over again. Not the case this time. 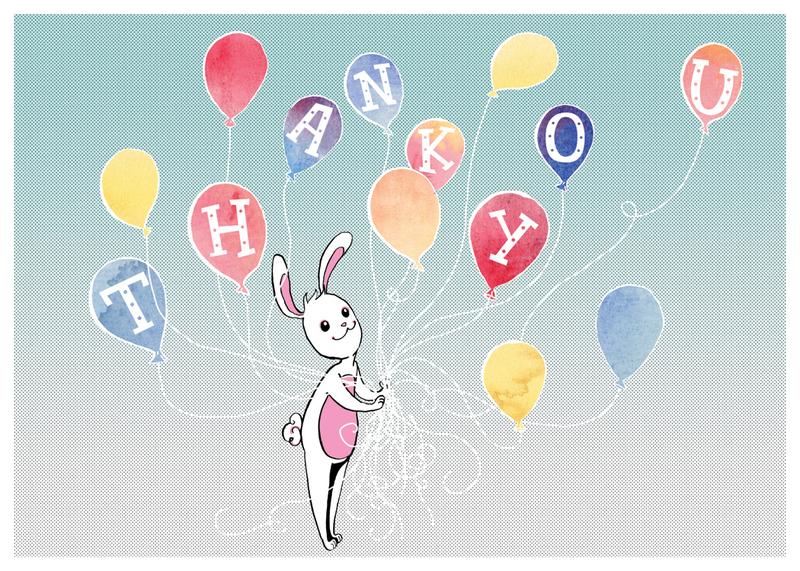 While I may still tweak the colors on the rabbit itself, this Thank You Card is complete. 🙂 Still have more tweaking on another one before it comes up and the following three should be coming soon, too!